It's always a pleasure to find a piece of long forgotten artwork by T.S. Sullivant. 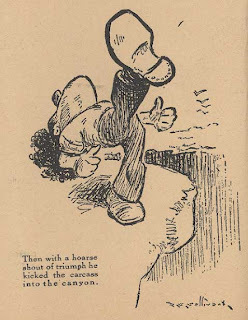 These appeared in Campus Comics #2, 1931. But they probably appeared in print many, many years before that. Anyone know where they were first published? 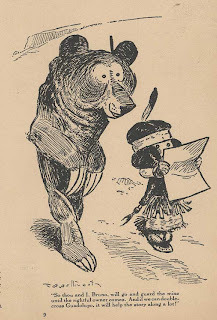 Noticed that the bear in the second drawing looks a lot like another bear by Sullivant that appeared in Life January 4, 1912. For those of you without complete runs of Life it also appeared in Black & White ImageS #1. Compare the two. Pretty similar, eh? Check out Jim Vadeboncoeurs homepage for back issues of ImageS. 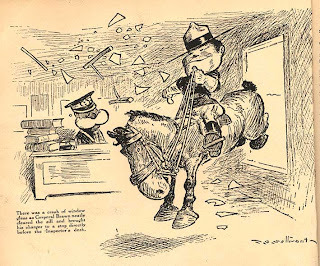 Lots of Sullivant in his black and white annuals! 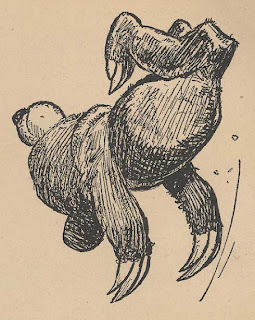 Don't miss tomrrows post featuring exclusive material from the book "PLAYMATES IN PRINT"! I'm sure you don't want to miss that!